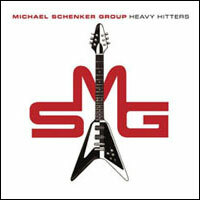 Michael Schenker, the founder member of The Scorpions and guitarist extraordinaire of UFO has come up with another classic album with his band MSG. This time he has recorded with some great names of rock, resulting in a unique sound that once again displays this guitar virtuoso’s talent. These tracks were recorded in the USA featuring great musicians and vocalists and produced by Bob Kulick and Brett Chasen forming a formidable team around a formidable genius.